Here’s how Boise State students, faculty and staff can reserve breakout and lactation rooms on the university campus. 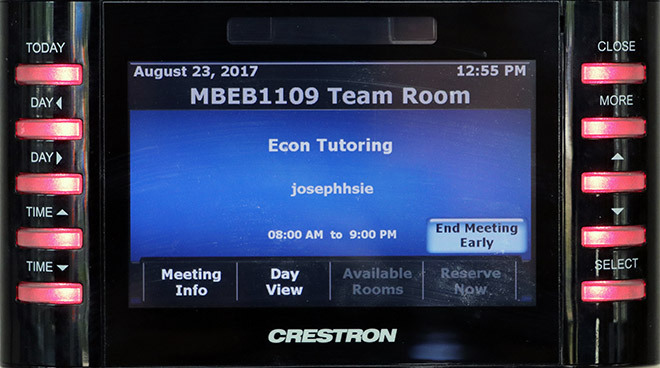 Students, staff and faculty can reserve “breakout rooms” in the Micron Business and Economics Building (MBEB) and Interactive Learning Center (ILC) for meetings, tutoring, and other needs. Each room can accommodate up to 8 people. Lactation rooms can be locked with a key available at the Zone in the Interactive Learning Center. Lactation rooms are available in ILC 208, 305 and 405. Use touch panels to make a room reservation. 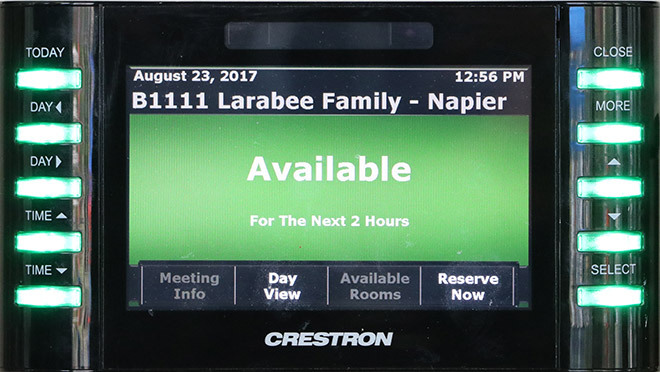 If the room is reserved, the background will be blue with red buttons, and the name of the reservation will be displayed. To create a reservation for a future time, select the Day View button, or select the Today physical button. 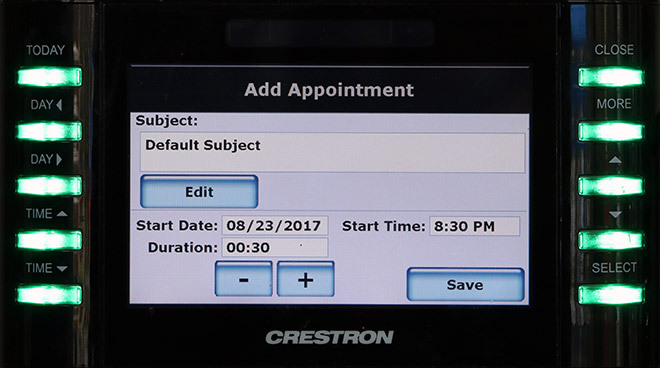 Navigate to what day is displayed by using the two Day physical buttons, and change the time using the two physical Time buttons on the panel. To create a reservation from the Schedule View, select a time slot by touching the screen or moving the cursor to a time slot using the physical “up” and “down” arrow buttons, then click Select. You can also adjust the duration of the meeting by using the – and + buttons on the screen. Select Save to complete the reservation.